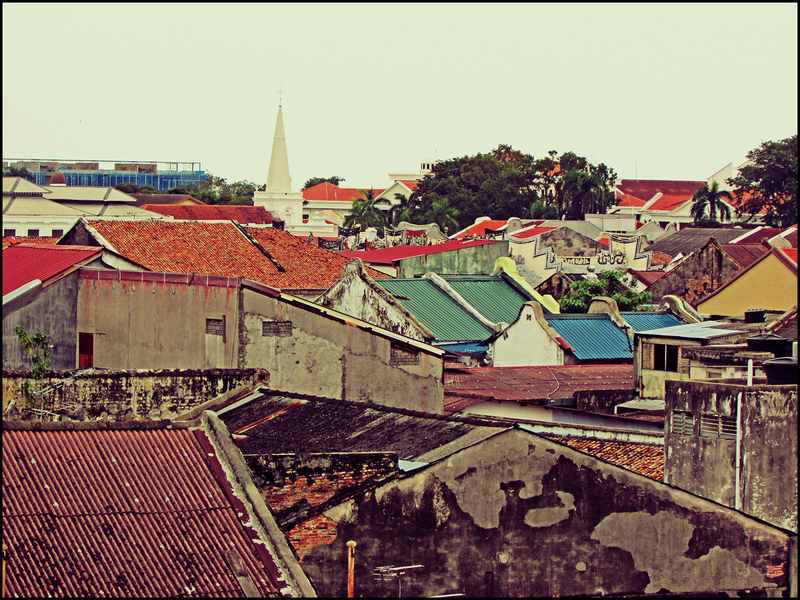 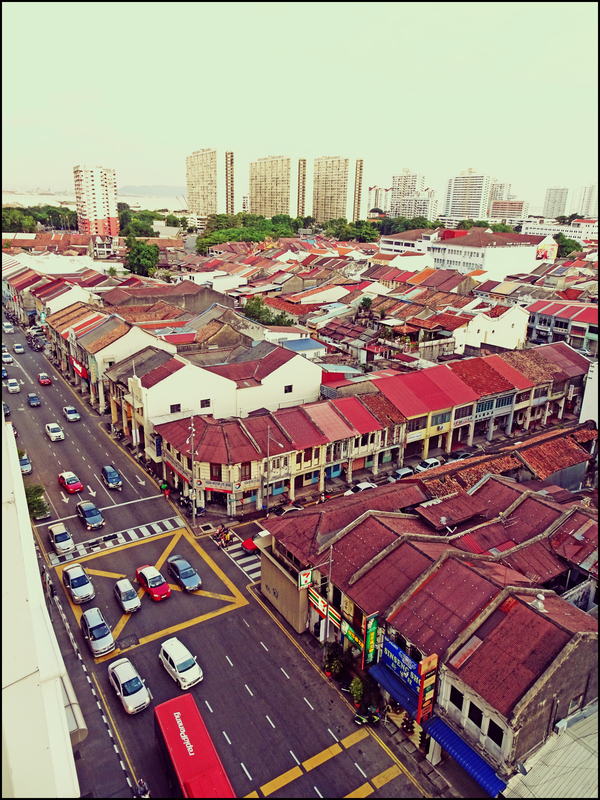 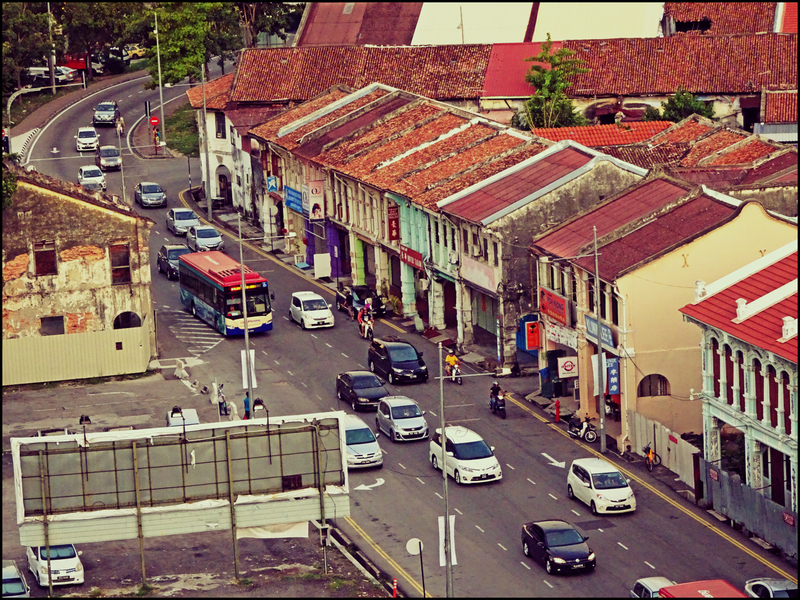 Old rooftops of heritage pre-war townhouses in George Town. 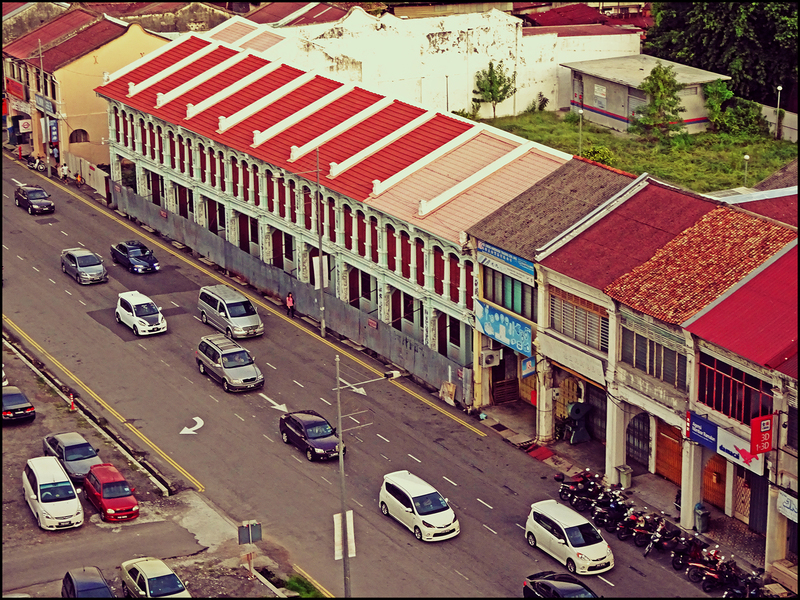 Carnarvon Street, one of the older streets in George Town. 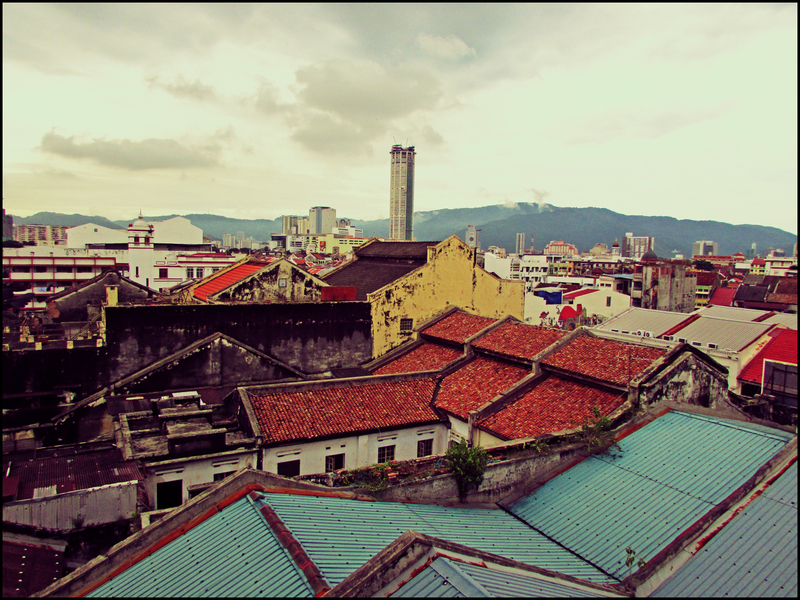 View of the mainland portion of Penang across the Malacca Straits sea. 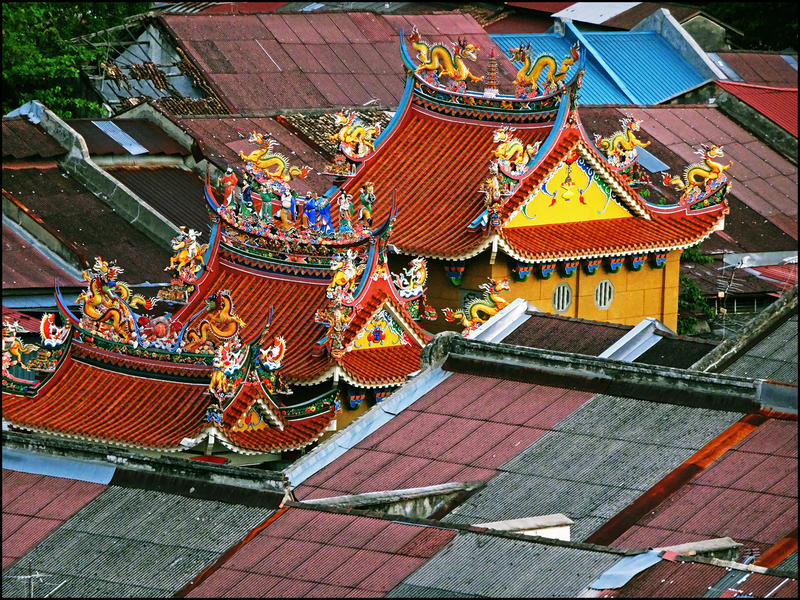 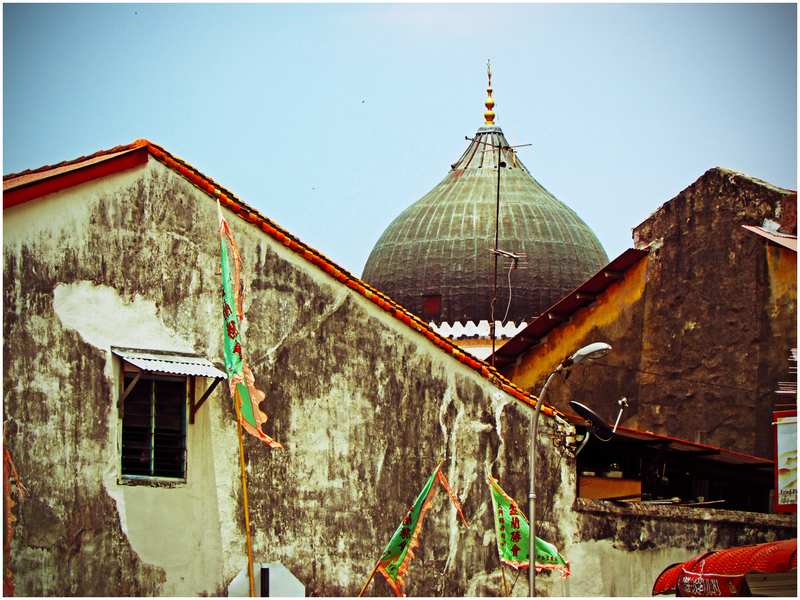 Among the sea of heritage rooftops lies a beautifully sculpted roof of a Chinese temple in the heart of George Town.